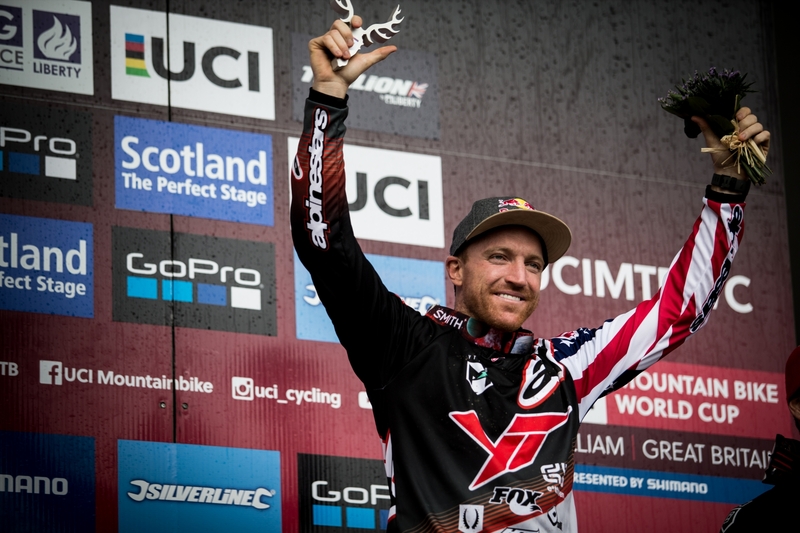 Fort William often produces great drama for both the fans that pack into the venue and for the hundreds of thousands watching at home; with this year�s edition being no exception. Most of the top ranked riders from 2016 arrived into Scotland without protected status thanks to the rained out end of round 1 in Lourdes (FRA). Other riders had higher than expected rankings that they wanted to hang on to, so the stage was set for a many changes in the overall ranking, and many possible surprises. On top of that, the course had a terrible bog section that the UCI and Organizers had failed to repair for race day, and consequently saw not only most women riders walking or crashing there, but half the men�s field going over the handlebars or losing massive time. Then, to add more drama into the mix, rain arrived at around 4.10pm with just 5 riders to go. That�s where Aaron had qualified, 5th. 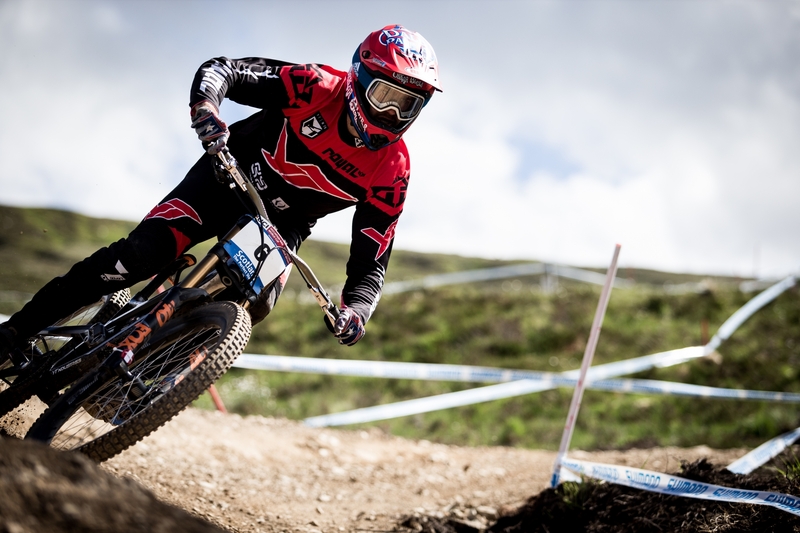 Teammate Neko Mulally had already come down the hill after qualifying 21st and had a great run to record his best ever result at Fort William after 5 attempts. After being one of the 1st riders to really master the bog section, Neko crossed the line in 2nd to Troy Brosnan (AUS) and ultimately finished 7th. Stoked with 7th here in Fort Bill. This track has been a challenge for me over the years so to leave here with a solid result gives me confidence and keeps the momentum rolling! For Aaron there was a quick decision to add roll-offs before the start as the rain had just started. Despite strong winds at the top his opening sectors were super impressive and before long he�d built a lead of more than 4 seconds until washing out his front wheel in a lower section of the track while trying to set up for a left hander. This cost him valuable time and despite crossing the line in 1st, both Jack Moir (AUS) and Greg Minnaar (RSA) ultimately went one better. Great weekend here in Scotland. The fans were awesome and the track was tough as always. I really wanted that win today and I felt like the speed was there until that little crash towards the bottom of my run. I�m encouraged by my progress though and a 3rd place with a crash is a result that I will build on. Already looking forward to going to Leogang next week, I love that place! Aaron�s result means he moves up 60 places, more than anyone else did this week, from 68th in the overall to 8th! This puts him just 5 points behind Neko in 7th and also means that The YT Mob is the only team with two riders in the Top 10 Overall after these two tricky rounds of racing. Despite only having only two team members with Angel Suarez out injured, The YT Mob is sitting 3rd in the team classification. 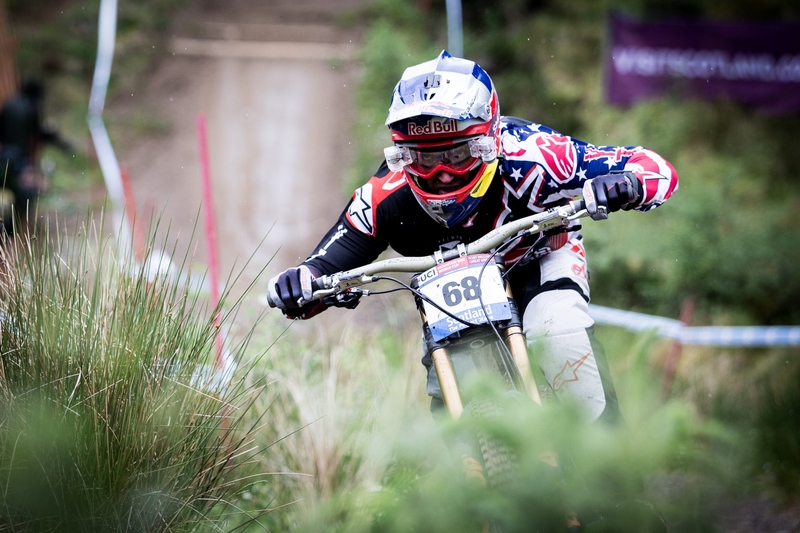 The next race is just 7 days away at the classic venue of Leogang (AUT). Both riders love the track and are looking forward to building on their championship points tally.